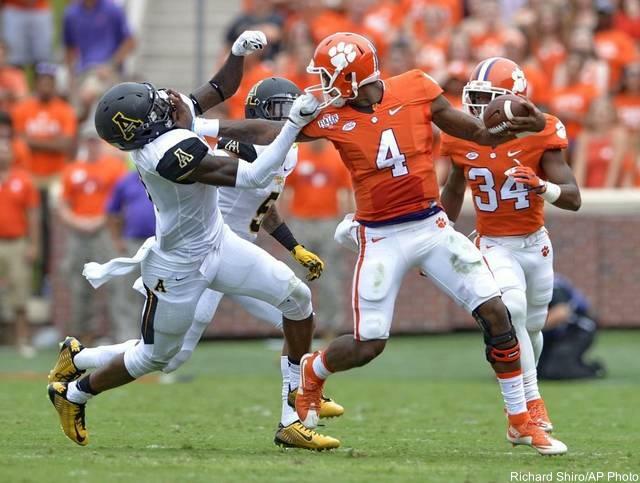 The Clemson Tigers host the Notre Dame Fighting Irish on Saturday night, in a matchup between two top ranked teams. The Irish come to town ranked #6 in the country while the host Tigers check in at #11. 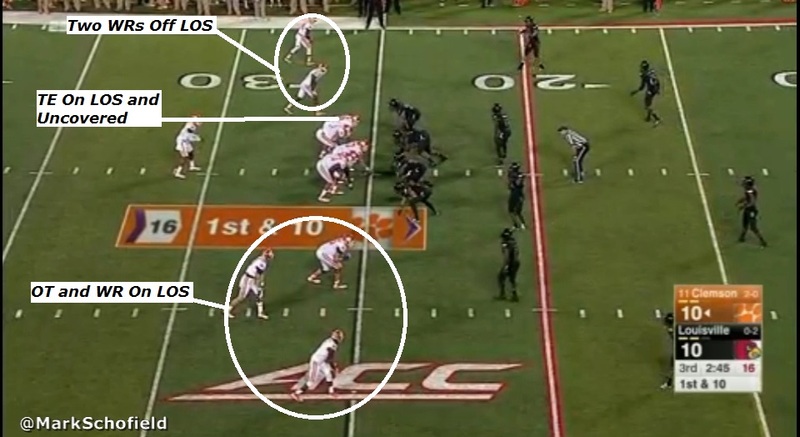 There are many storylines to this game, and Mark Schofield looks at how Clemson attacks the middle of the field. Watson fakes a handoff to running back Wayne Gallman. 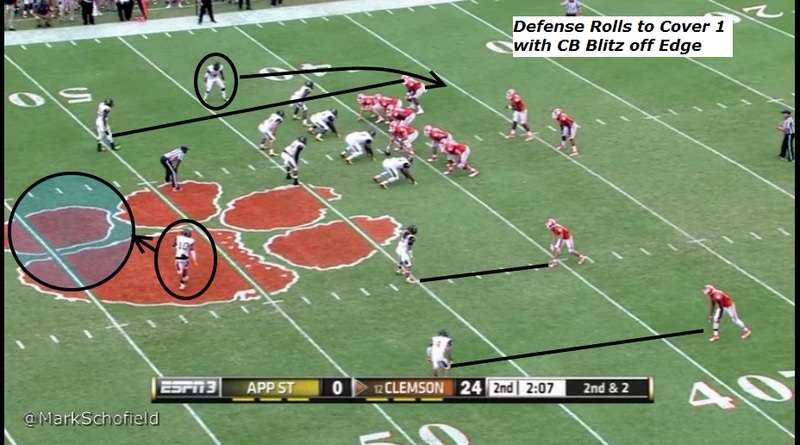 and the RB tries to block Gibbs, but the defensive back is evades Gallman. With pressure off the edge, the Watson must climb the pocket. He rolls to his right, creating space to escape the blitz. 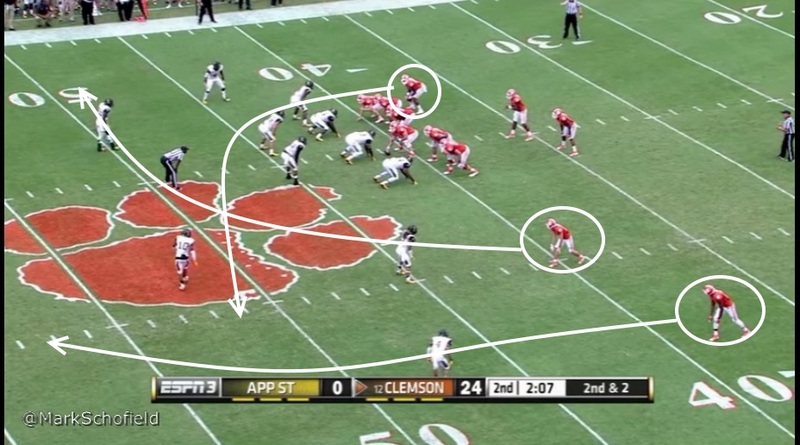 Peake is behind the defense because when the QB is flushed from the pocket, the safety Howard focuses on the crossing route, leaving Peake 1-on-1 with the corner outside. But sometimes, an offense needs to use a little sleight of hand. 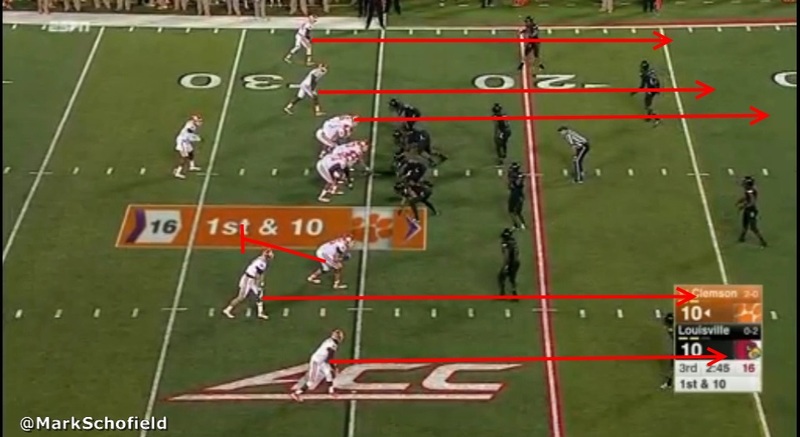 This means that the player on the left edge, ‒who is uncovered, ‒ is an eligible receiver. 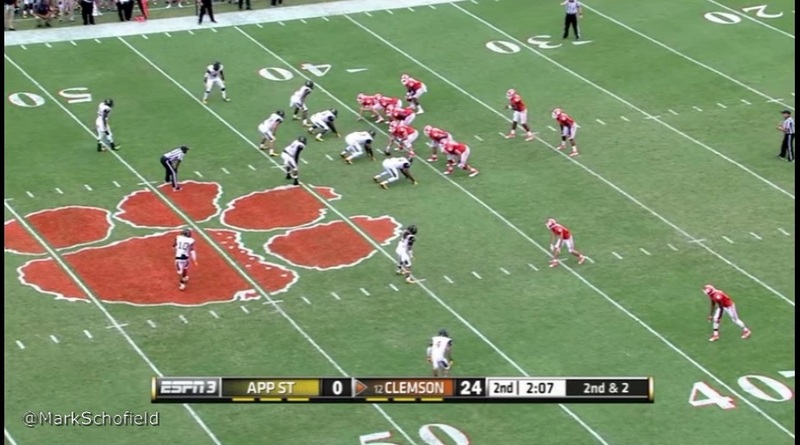 That player is Jordan Leggett (#16). Watson hits him with an easy toss, the Tigers have a big play, and another touchdown, attacking the middle of the field.